Hey there! Having trouble getting your poses accepted by the administration? I'm going to give you a few pointers on how to get yours accepted the first time! If you haven't please read the ART FAQ first, then feel free to follow these simple steps. If you have any questions, please feel free to contact any member of ART! 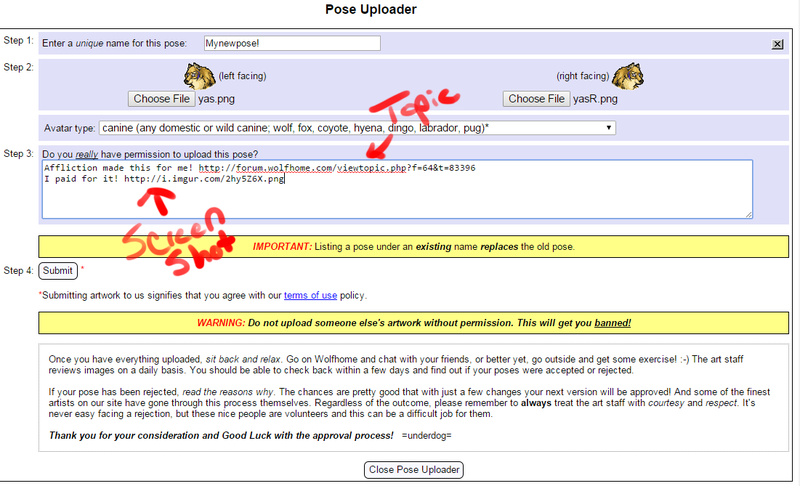 A pose is the picture that appears above your name in the chat rooms. You can purchase premade or custom poses from users on the Wolfhome Markets, or you can find free poses on the Freebie Emporium. You can even create your own poses. Don't know how? Check out some awesome tutorials from the userbase! Okay, I have my poses, now what? Now you pick your coloring program, character, and color palette for your accessories. There's a list of free programs that Avani made on the forums. I personally use Photoshop. You don't have to have a paid program to get great colored poses though! Don't know how to color a pose? Once again, check the resources forums for how to color your poses in a program of your choice. Now to the pointers! When coloring your poses, keep a few things in mind. Do not color with solid black! Coloring with solid black or dark colors will make your pose look flat. If you do choose to use a dark color, add a few highlights on it. Highlighting your poses give a lot of depth and makes the shading really pop out. Another thing to remember when coloring is your markings. Sometimes the markings of characters will blend with the shading on a pose and make the shading look like markings. Try changing the color of your shading, or making the shading a little darker by using your image adjustments like brightness and contrast or hue and saturation. Alright, it's colored, but it's still getting rejected! Have you checked for loose pixels? Before you decide to upload your pose, put a dark color behind your pose to check for the little floater demons. Sometimes, on a white, light colored, or checkered background will hide pixels inside or outside your pose. Make sure you use multiple colors to check, so you don't miss any! 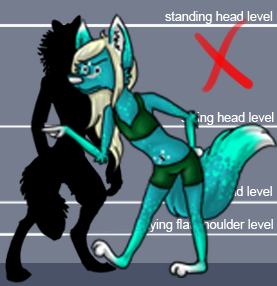 Be cautious of lighter outlines or lineless premades as they're notorious for looking like they have 'halos'. Okay, but they're saying it's too big! Well, size is one of the biggest (heehee get it?) things that the art review team rejects poses for. 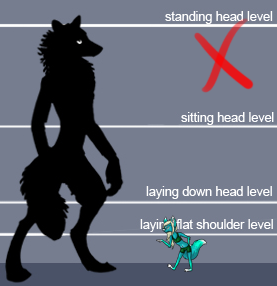 Take the time to check the size of your pose versus their size charts. 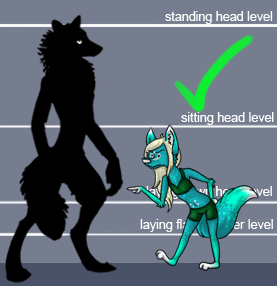 A lot of the time, we go by head size in comparison to the body size, so 'chibi' poses must be made much smaller than normal poses because their heads are so large. Remember that domestic dogs are typically smaller than wild dogs. Felines are smaller, while dragons might be a little larger. 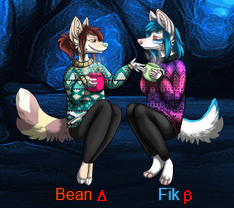 When it comes to anthro poses or human poses, we generally expect them all to be around the same size. You don't want your pose to take up the whole room. Remember also that making a pose too small will get a rejection. Usually this is if they're so small that you cannot see any details on it. So if you want a tiny pose, make sure you're making it with a crisp outline and strong shading. It's asking me for permissions? When we ask for permission, we're asking for a link to the pose you're using. It must be a link to the original creator of the pose! You cannot link to your colored version of a free or premade pose. Has the artist not updated the thread? Take a screen shot of your payment and include that in your permission reason! 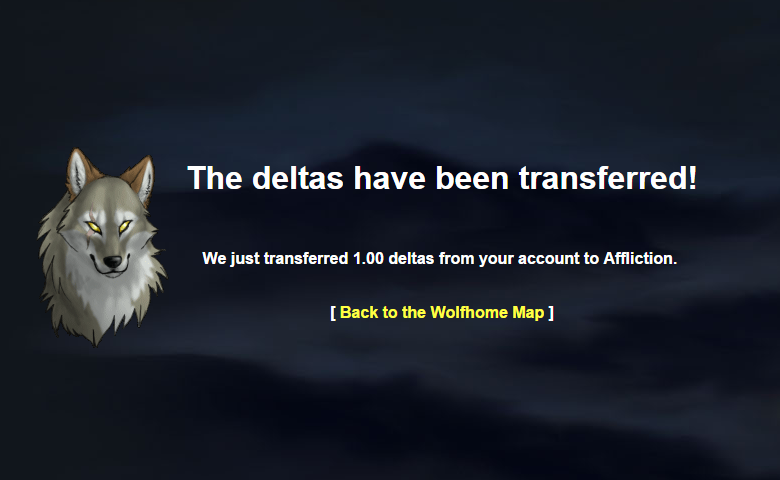 Make sure it's the confirmation page if your sending deltas and not just the delta transfer page! Just bought a character and have poses for that? 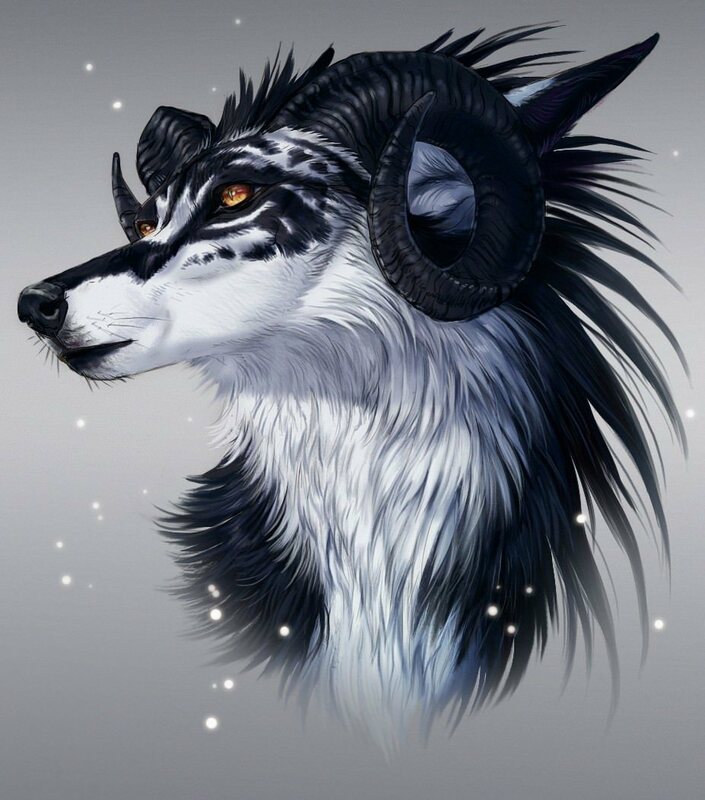 Try to link the character thread where it states that you bought the character or a screen shot of the PM's where you bought it with the art included. Make sure the artist has given permission for your pose to be used (If you're not sure, most artists don't mind a quick PM asking about it). What are some other reasons ART will reject for? Some of the other things that ART will reject for are things like outline. Your outline must be complete and intact. We realize that lineless poses don't have an outline, so this would only apply to solidly outlined poses. There's a beautiful explanation on the art faq page for more information. Another thing that isn't used often is the quality rejection. This will be used when a pose has three or more problems with it, or they just don't know what is going on with your pose. Sometimes this has to do with how it was resized, it may have become blurry. Does your pose have a weapon? Make sure it's not being pointed in a threatening way (this includes guns that look like they're being aimed) or look like it's got way too much gore on it. Hey I just got an email that my pose is under discussion? What should I do? Don't panic! The admins just aren't sure what to do with your pose. This could be anywhere from which category, what's wrong, or if you got your permissions right. All the details you need will be in the email. If you still have questions, please feel free to ask any of the ART members. You should know that the ART is only human. Sometimes we mess up and have to revoke your already accepted pose. You will not be in trouble for this as it is our fault. You will be informed as to why it's being removed and trust them when they say they know it's a hassle for you. Don't harass the admin to accept your poses (See rule 10). This will get you into trouble as the ART has many other things they must work on. Each member of the team tries to be in the uploader at least once a day and your pose will be gotten to as soon as possible. Every ART member is very approachable. You can ask them any anything, chat them up, or just say hi! If you have questions, they're always there for what ever you need. Sometimes a discussion will be needed, so give them time to post on the forum and get the answer you need. I hope this has helped you guys out! Happy Uploading!